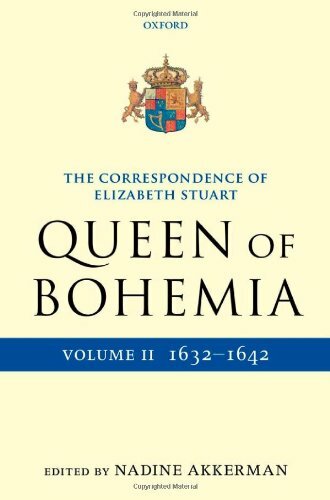 The Correspondence of Elizabeth Stuart, Queen of Bohemia is the first edition, in three volumes, of Elizabeth Stuart's complete letters ever published. Elizabeth Stuart (1596-1662), also known as Electress Palatine of the Rhine or Queen of Bohemia, was the daughter of King James VI & I and Anna of Denmark, and a key religious, political, and cultural figure in early modern Europe. Volume II, tracing the years between 1632 and 1642, covers Elizabeth's life as a widow controlling the regency during her eldest son's minority and imprisonment. It opens with her husband Frederick V's departure from their court-in-exile in The Hague to the battlefield in Germany, and his unexpected death from the plague in Mainz a few days before Elizabeth and he would have regained the Palatinate. Elizabeth is forced to take Palatine affairs firmly into her own hands as the restitution slips away from her. Her brother King Charles I tries to lure her back to the British Isles, apparently in order to pacify her, but Elizabeth chooses a life of voluntary exile to expedite the restitution. In this most political period of her life, Elizabeth devises, often unsuccessfully, ploys to gain financial, moral, and military support for the Palatine cause, frequently in direct opposition to her brother's wishes and demands. Her letters were the principal means by which she could exert her power on statesmen and military leaders, such as Archbishop Laud, Charles I, Christian IV of Denmark, the Swedish chancellor Axel Oxenstierna, Cardinal Richelieu of France, and Wladislaw IV of Poland. Elizabeth's eldest son Charles Louis, set free by the French in April 1641, ultimately took over the regency of the Palatine government in November 1642. Elizabeth at this point jadedly relinquished her role as stateswoman.